Paulding County's November unemployment rate was 6.0 percent. 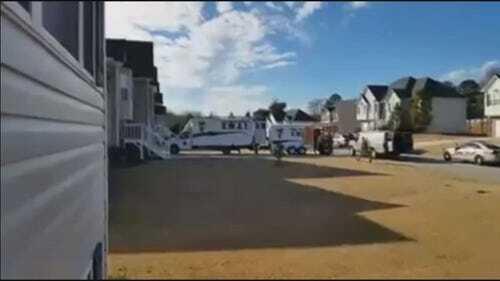 No arrests made after SWAT standoff in Paulding Co.
PAULDING COUNTY, Ga. – Authorities thought they had tracked a murder suspect to a home in Paulding County, but it turns out, it was just a friendly dog. According to Paulding County Sheriff's Office Cpl. Ashley Henson, a SWAT team and negotiators were on the scene at Peggy Meadows Way on Friday afternoon. According to a Paulding County Sheriff's Office spokesperson, they were searching for a murder suspect from DeKalb County, and had information he was staying inside the house on Peggy Meadows Way. Paulding County's unemployment rate was 6.5 percent last month.